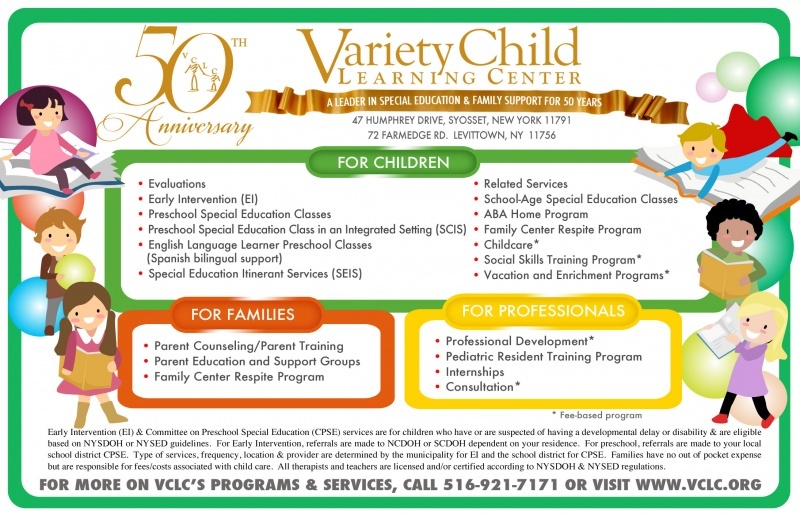 Variety Child Learning Center provides special education and support services to children and families, along with professional development and research. 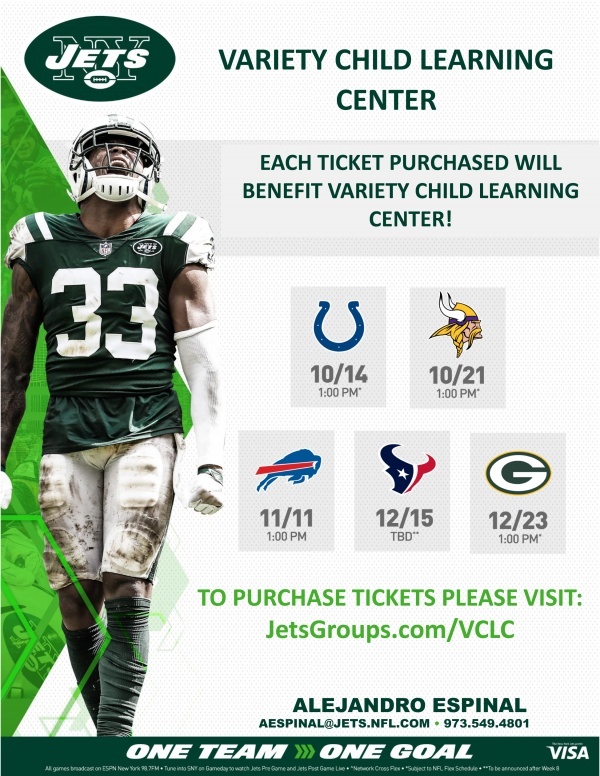 VCLC is a 501 (c)(3) not for profit center providing special education programs for children who reside in Nassau, Suffolk and New York City, with developmental and learning disabilities, including autism, along with programs and support services for families. Training early childhood professionals and ongoing research that leads to improved educational and social outcomes for young children are major components of VCLC's mission. 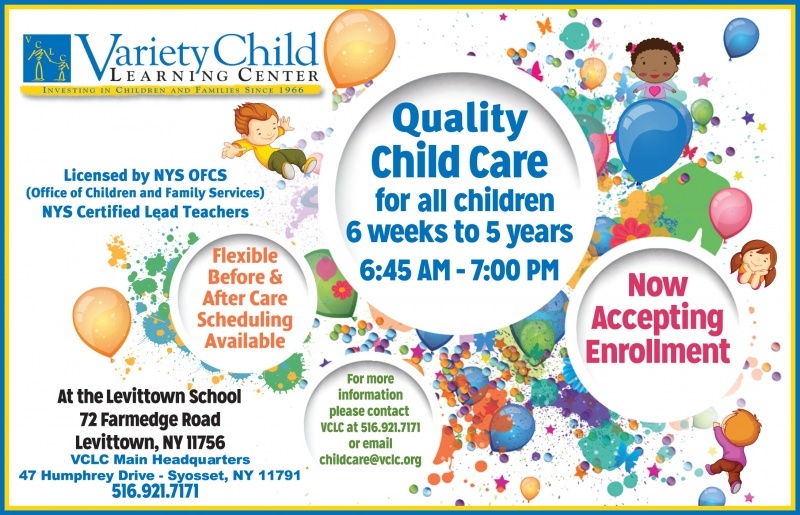 • Approved by the New York State Department of Health to perform evaluations, and provide special education and early intervention services for children birth to 3 years of age. • Chartered by the Board of Regents of the State of New York. 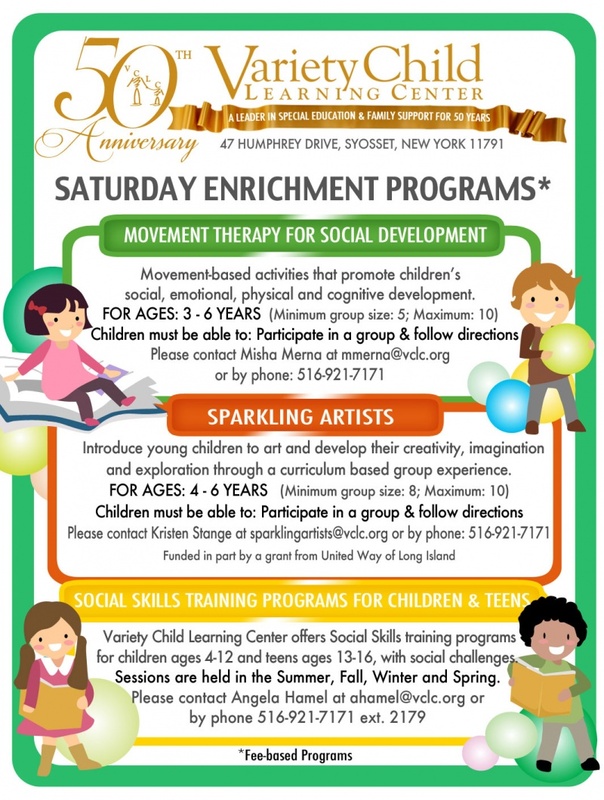 • Approved by the New York State Education Department as a special education facility and evaluation site for children 3 - 8 years of age. With a staff of over 420 that includes; special education teachers; assistant teachers; therapists (physical, occupational, speech); psychologists; social workers; school nurse; and approximately 80 volunteers, (including graduate and undergraduate interns); VCLC provides special education services and programs to thousands of children and families, on- and off-site. Professional development training seminars, workshops, and consultation services for early childhood educators, professionals, and pediatric residents are offered on and off-site. 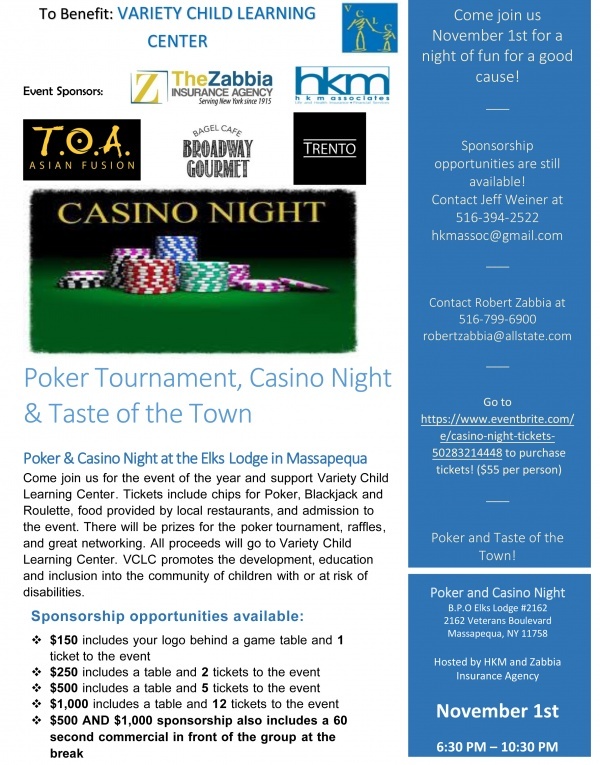 Funding for the following programs and services is provided by federal, state and county governments; school districts; and fund-raising. 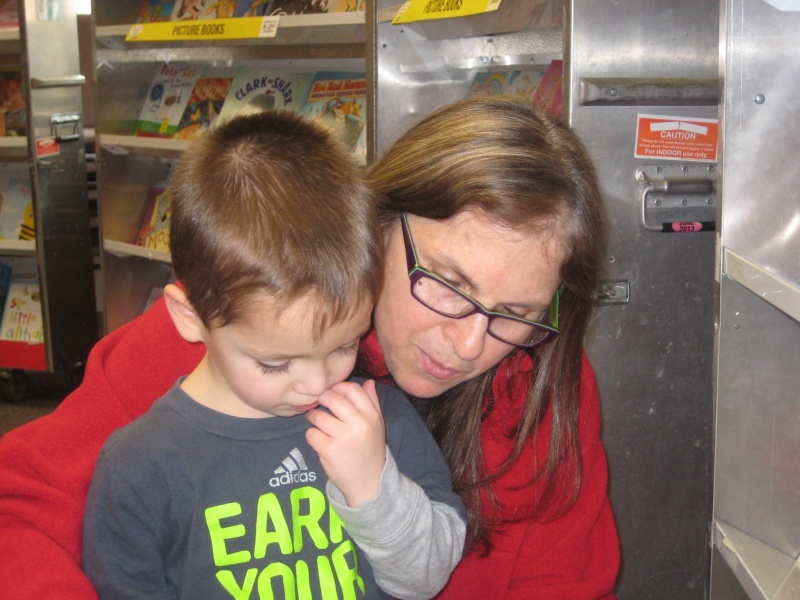 VCLC programs and services are provided at no cost to families, with the exception of a few after-school programs.